Did your teen just get their driver’s license? Are they more eager than ever to take part in this year’s family road trip? Getting through the teen driving phase is one of the toughest periods for any parent. It’s inevitable that one day they’ll get behind the wheel, but it always seems to happen too soon. Despite all the stress, studies have shown teens that get their license earlier usually end up being safer drivers. If your teen wants to be one of the drivers during your family road trip here are a few tips to keep in mind. The car insurance pros at acceptanceinsurance.com suggest that parents check their policies before taking a road trip with teen drivers. The law requires that all drivers must be covered by liability insurance in the vast majority of states, even if they don’t drive a car of their own. If your teen has a driver’s license and plans to drive the family car, you should add them to your auto insurance policy. Your teen should be listed as an operator of the vehicle, not just a household member. Choosing the destination for a family vacation is one of the first to-dos that have to get done. But often we wait until the car is loaded to pull up a maps app and find the best route. Knowing where you’re going in advance always helps every driver regardless of age. At least a week or two out, sit down with your teen driver and consider your route options. Consider things beyond distance such as the terrain, highway conditions and traffic. For example, a trip where you’ll be hiking in Vancouver has dramatically different driving conditions compared to visiting the city of Los Angeles. Discuss all the various factors with your teen driver. It’s also a good time to decide how much driving your teen will do and which legs of the trip will be safest. Every state lays out their own regulations for teen drivers. After going through the learner’s permit process, you’re probably familiar with your state’s regulations, but what about the states you’ll be driving through? The states you plan to visit could be more strict or more lenient. Make sure to check with the state DMV for more information to avoid accidentally violating the rules of the road. Teen drivers need supervision, especially if they’re driving through unfamiliar territory. It may be tempting to catch a power nap while your teen is driving, but fight the urge. Stay awake and alert so you can act as their co-pilot and make sure they aren’t doing anything risky like texting while driving. We have a way of feeding off the emotions of others. If you’re stressed and on-edge while your teen is driving it will do nothing but increase their anxiety. Raising your voice or getting into an argument should definitely be avoided since it can make your teen driver emotional. If you find that your teen’s driving is just too stressful during the family road trip ask them to pull over at the next stop so you can use the restroom. Once you’re done, take back the driver’s seat. Some believe in throwing a person in the deep end to teach them how to swim. That’s not an advisable tactic for teen drivers on a family road trip. It’s best to stick to portions of the route that are less likely to have traffic and times when there are fewer cars on the road. 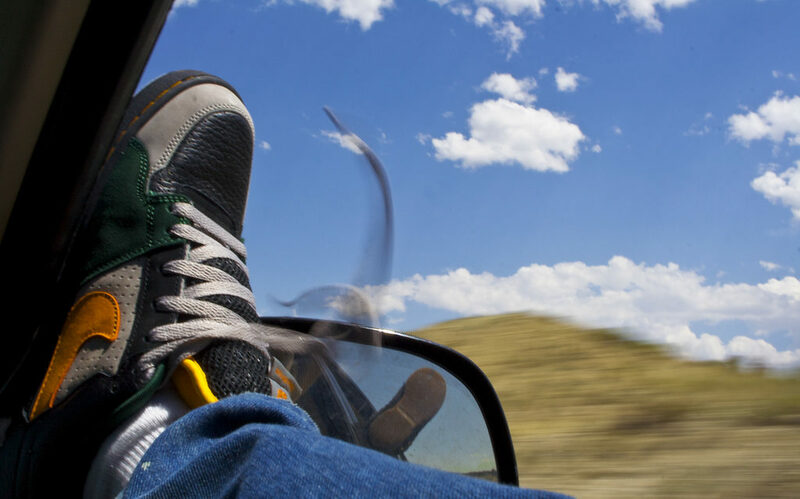 Are you planning on renting a vehicle for your family road trip? Then your teen may have to put up with sitting in the back seat. No car rental company will rent a vehicle to a person who’s under 18, and many refuse to turn over the keys to drivers that are 20 years old or younger. Even though it’s legal for a teen to drive while the parent is in the car, the car rental company may forbid it. Read the fine print carefully to avoid potentially expensive problems.